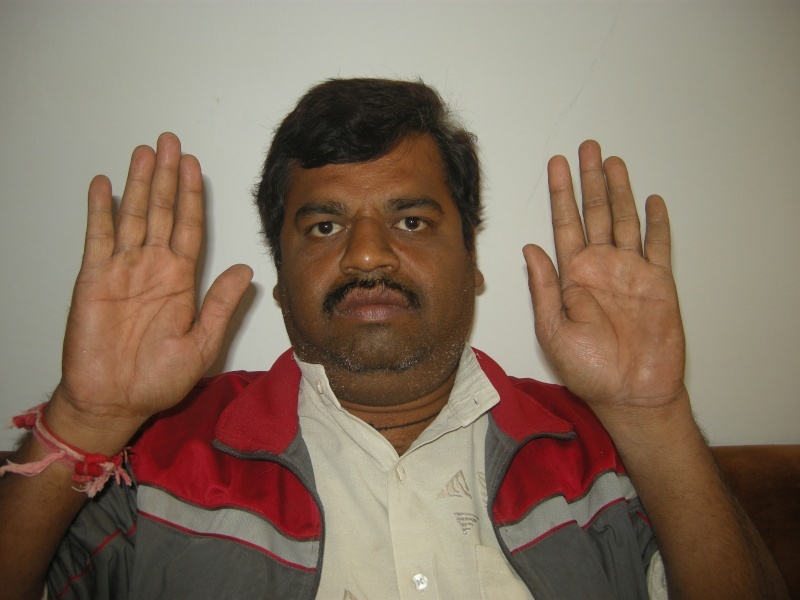 What is a signification if the man is having different type of hands? Re: What is a signification if the man is having different type of hands? 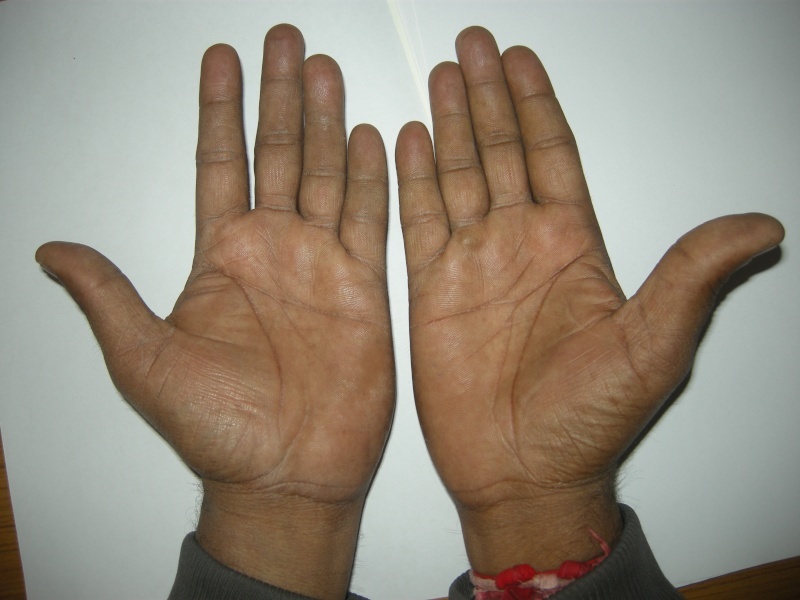 Right hand has more muscular development, even the wrist it bigger! Is he right handed and he uses his right hand/arm more than the left for some physical, manual work? Does he have repetitive strain injury or arthritis in right hand, is that big thumb knuckle due to some injury? 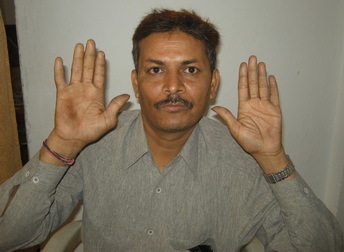 Neither he has used his right hand too much nor does he have strain injury / arthritis / thumb knuckle injury. He is just normal, working with both hands as usual common man. Second case but less change. Thanks for answering my questions Upendrasingh. In that case I would go with all the things we talked about before regarding differences between left and right hands, the difference between his inner private nature (at home) and the more physical, active, earthy side that the outside world sees. In the second example I can't see such a difference in hand shape, though right hand again looks bigger, and he has more difference in the lines. wonder if it has something to with digit ratio. 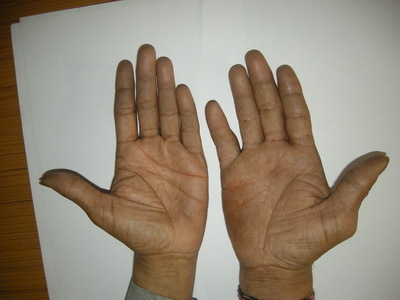 significant difference on both hands in both cases. case 2. both show a slightly feminine but right is less feminine. I think the answer to this is in his parentage . Were his parents two entirely different people of strong character,different backgrounds or does adoption come into it. Would shapes be influenced by the genetics of parents? If we take the assumption that a hand is unique and we can have opposite personalities from parents, how far genetic could influence? Would it be to the same point as what we say about colour of hair and eyes?